Are fear politics dominating the midterms? DNC Chair Debbie Wasserman Schultz and RNC Chair Reince Priebus debate what the 2014 midterms are about. RNC Chairman defends Ryan's remarks on inner-city poverty, saying that Republicans are leading the way on these issues. 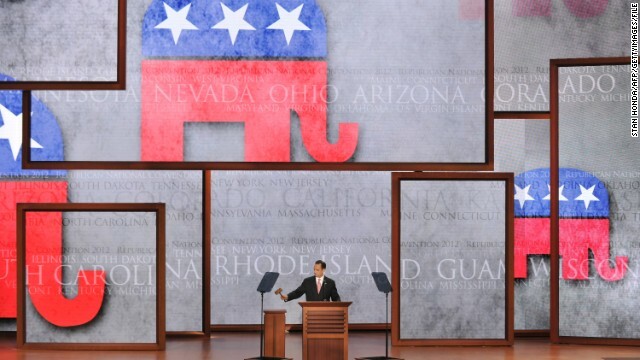 In the year since the Republican National Committee (RNC) Chairman Reince Priebus commissioned a team of experts to produce the RNC “Growth and Opportunity Project”, a comprehensive examination of lessons learned from the GOP’s 2012 electoral defeats, it appears that the project, colloquially called the RNC “autopsy”, may be requiring its own post-mortem. Republican chairman Reince Priebus talks with Candy about the GOP strategy in 2016. (CNN) – Republican National Committee Chairman Reince Priebus said Sunday that his organization’s planned debate boycott was focused on NBC and CNN – which plan to air films about Hillary Clinton – and not companies which may produce those projects. Priebus, speaking on CNN’s “State of the Union,” was responding to a question from Chief Political Correspondent Candy Crowley about a report in The New York Times that Fox Television Studios was in the “early stages” of talks to produce NBC’s miniseries about Clinton, set to star Diane Lane. Fox Television Studios is a corporate sibling of Fox News Channel and the Fox broadcast network. Members of Congress may be enjoying a break from Washington, but at home they are facing tough questions on Obamacare in town hall meetings across the country. We’ll talk to the Chairman of the RNC, Reince Priebus. Then, before heading on a week-long family vacation to Martha's Vineyard, the President held a press conference and announced proposals to reform NSA surveillance. Democratic Congressman James Clyburn voted with Republican Congressman Justin Amash to defund the NSA surveillance program. Rep. Clyburn (D-SC) will join us to discuss the President’s proposal. Then, why doping may ruin America’s pastime. We’ll talk about the future of baseball with retired Major League Baseball Hall of Famer Ernie Banks, USA Today Sports Columnist Bob Nightengale, and documentary filmmaker Ken Burns. Plus, our political panel on the President’s press conference, and the fallout over the latest NSA snooping revelations. We’ll get perspective from CNN Crossfire host Stephanie Cutter, CNN Political Commentator Kevin Madden, CNN Political Commentator Ben Ferguson, and CNN Political Commentator Errol Lewis.